Just a quick little post for you all today featuring my favourite spring purchase so far. Despite the fact that it snowed here in Leeds on Monday (like, seriously, why?!) and the weather is still looking decidedly grey, I've been stocking my wardrobe with some dreamy pieces for when spring finally decides to make an appearance. I picked up this skirt as part of a mini ASOS haul a few weeks ago and I already know that we're going to be inseparable when the temperature warms up a little bit. 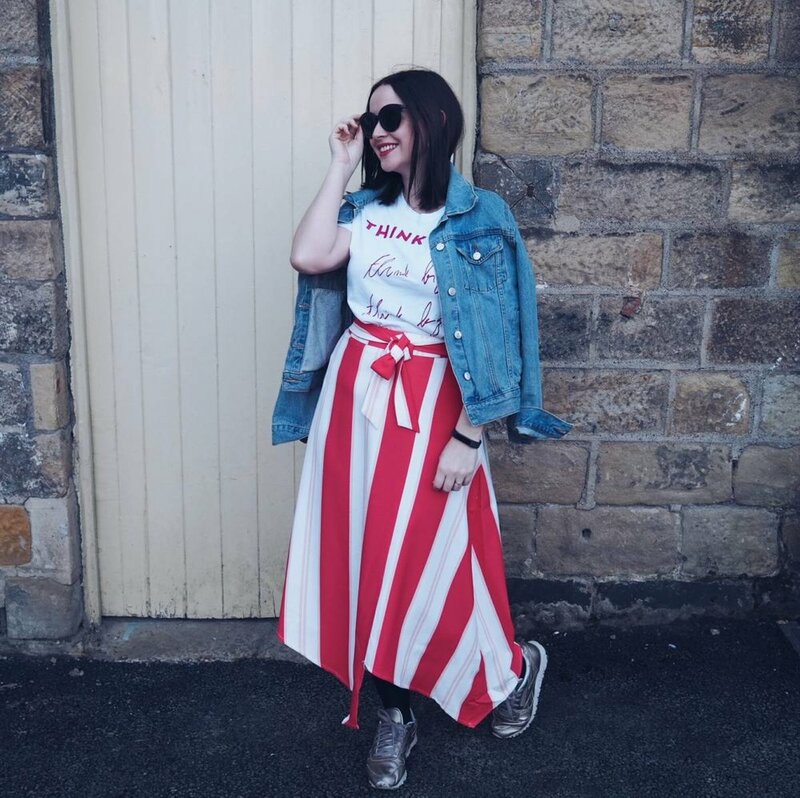 The colours and stripes just scream summer, and the cut makes it super flattering for anyone like me who has a small waist and a larger bottom half. You can see how I styled it up for a pizza date last week, with a denim jacket, t-shirt and trainers. I reckon I'll be rocking this look pretty regularly for busy days at the office, but the beauty of this skirt is that it's completely versatile. Picture it with a white blouse and a straw bag for days spent roaming around European cities in the sunshine, or with a cami top and espadrilles for date night on holiday *insert heart eye emojis here*. But wanna know the best thing about this skirt? It cost a mere £18! Cost per wear is gonna be strong with this one.